You see, as reported in this blog during our extensive series on the mortgage interest deduction debate, if your home doesn't have a $300,000 mortgage, and if your combined family income is not $75,000 or more, you aren't benefiting from the mortgage deduction. Guess where almost all the homes and family incomes are who qualify? 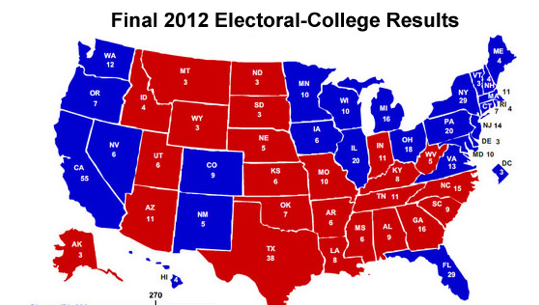 California, New York, Massachusetts, Illinois, the most solidly blue states in the union. Consider the irony for a moment. These four states control a lot of electoral votes for the Democrats. And the Democrats are the only ones pushing or even suggesting that the mortgage deduction be eliminated. On the other side, just as ironic for Republicans, the states where they are solidly in control have lower cost homes and lower average incomes. In other words, very few of their constituents are benefiting from the most cherished deduction of all. Of course the irony stems from the fact that the Dems want more revenue from the rich, and the Republicans want nothing to do with any tax increases that might reduce spendable personal income and increase cash in the hands of the government. If you would be interested in getting all the sides and ideas on this debate, here are posts we have generated over the past few months. Three fourths of the homes effected by any reduction or elimination of the mortgage interest deduction are in blue states. Check out the facts. Will you be effected if the mortgage interest deduction is eliminated? Are you curious about the effect of any change in the home mortgage deduction on your taxes? Could Ending the Home Mortgage Interest Deduction Send Another Horrible Shock Wave Through the Economy? What Are the Reasons or Benefits Associated with Ending the Home Mortgage Interest Tax Deduction? Contributors to the content come from the center left and center right of the political spectrum, and experts will be sighted throughout the posts from dozens of thoughtful commentators in finance, business, academia, and from every point of view. In order to maximize our goal of getting it all on the table, we hope that you will bring your opinions to the comment section, and that if you have credentials and would like to write a guest column, please contact us with your proposal.